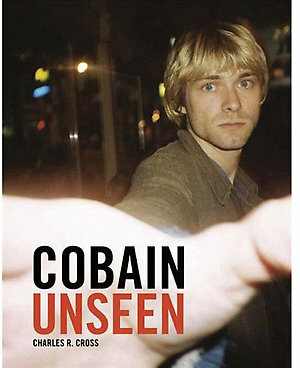 Charles R. Cross, a Seattle based rock music journalist that has chronicled the lives of Kurt Cobain, Jimi Hendrix and Bruce Springsteen has just released another book, titled ‘Cobain Unseen’. NME posted some of the never-before-seen photos of Kurt from the book. Roisin Murphy Plays The U.S. The cool, lovely Roisin Murphy played her first U.S show in NYC, at Manhattan’s Mansion nightclub, which was formerly Crobar. Roisin tells Arjanwrites that she was a little hesitant to play to a U.S. crowd, uncertain of the turnout, but was pleasantly surprised to find that hundreds of fans turned out to a soldout show. We’ve followed Roisin over the past several years and she is a master at on-stage performance, evidenced here in her performance of “Overpowered”. She plans to return to the U.S. after her European tour and will be joining SXSW in Austin, as well as dates in Atlanta, San Francisco and L.A. in March. Foo Fighters front man, Dave Grohl and his wife Jordyn Blum are expecting their second child. Dave talks about how having their daughter Violet, who was born April 2006, changed him, saying it was a struggle to go on tour, leaving the baby behind. We just saw one of our favorite spirited – old bands last week live, when Weezer came through Houston. Rivers put on an oddball show for his fans that know what to expect from the cerebral rocker. We’ve really enjoyed the Red Album and are happy to hear that “I Want to Take You Home Tonight” will be added to his collection of solo demos, Alone 2: The Home Recordings, which will be out 11/25 on Universal. So an ex-supermodel has a sense of humor about a little down-on-her-luck crackhead. Cindy Crawford went as Amy Winehouse to Kate Hudson‘s Halloween Bash. Her costume was complete with a cocaine kick coming from her nose. Seems Kate Moss, would have been a more likely candidate for a cracked-out singer. Poor Wino was admitted to The London Clinic again on Saturday. It seems her timing is perfect, since she missed her interview with the police regarding another incident where she hit, yet another person – a dancer at a charity concert. Smashing Pumpkins are doing their anniversary tour and performed “Glow” on Jimmy Kimmel for part of the ride… 20 years! Can you believe it? Billy sounds just the same. Little Boots is a promising new act from the UK that is setting music back in it’s place. She’s innovative, clever, fun, and is creating fresh electro/disco hits. Here she puts the Tenorion to work for her and spits out a simple little song using Stylophone embellishments and her piano. We’re big fans of Thom Yorke, who contributed along with Matthew Herbert, and Brian Chippendale on Bjork’s new single “Nattura“. This video was created from past videos from Michel Gondry, by a citizen of Youtube. Good work George Bopper. 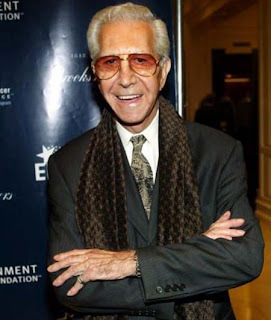 The fashion critic with a lashing tongue, Mr. Blackwell passed away Sunday at the age of 86. His publiscist Harlan Boll said, his death was due to complications from an intestinal infection.